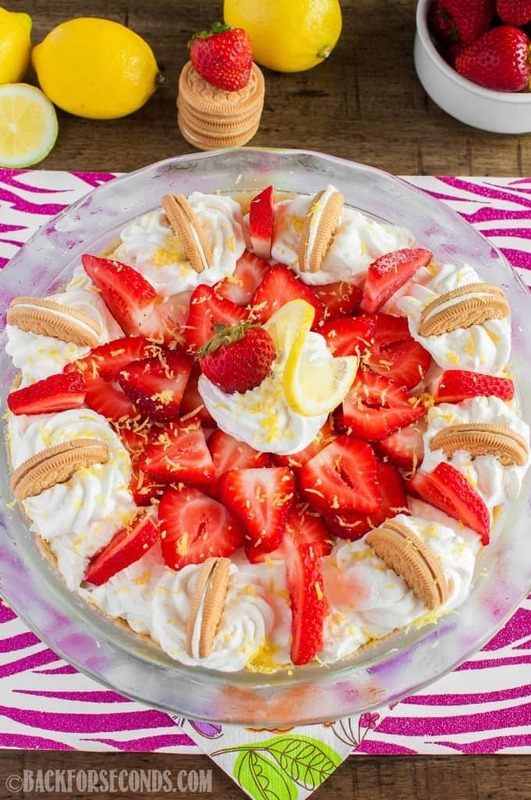 No Bake Strawberry Lemon Cheesecake Pie is the ultimate summer dessert! 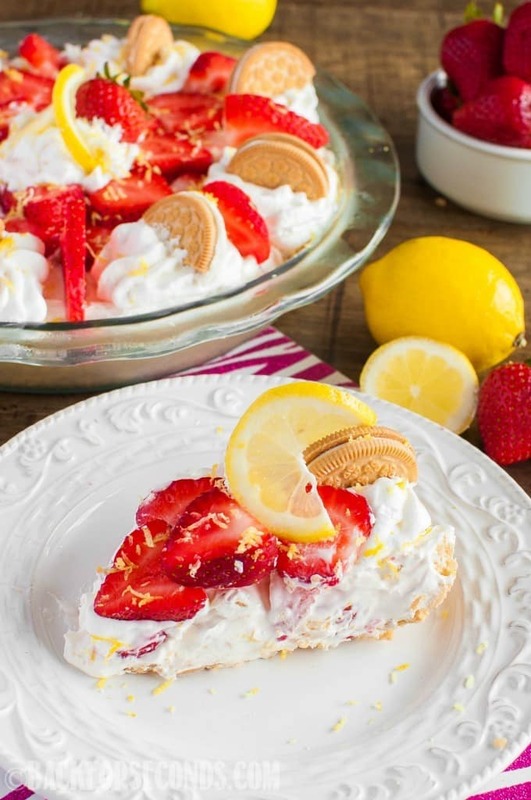 Light, creamy lemon cheesecake is loaded with strawberries atop a golden Oreo crust! This is the summer of pie! No bake pie, of course. Until about a month ago, I barely had any pie recipes on Bake for Seconds, and I knew it was time to change that. I’ve already shared recipes for this No Bake Mint Oreo Cheesecake Pie (holy yum) and this No Bake Butterfinger Cheesecake Pie (my husbands favorite!). 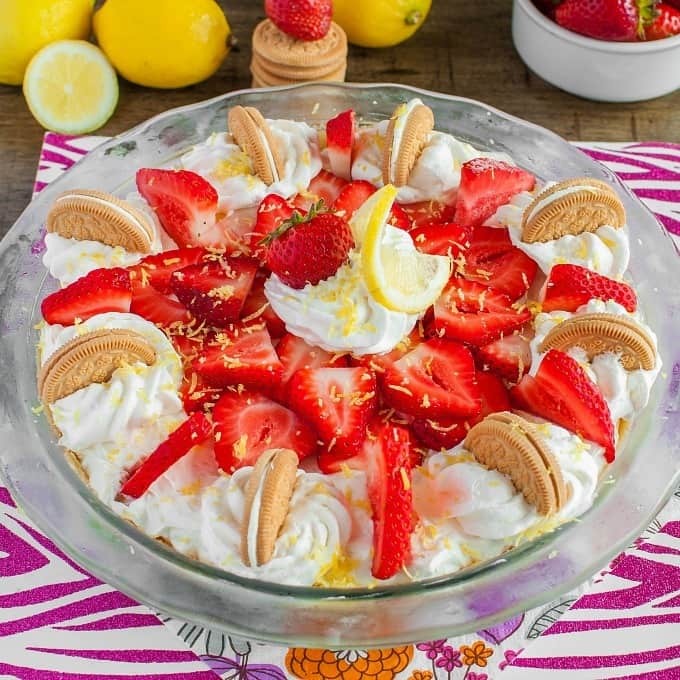 Now it’s time for a refreshing fruit pie – No Bake Strawberry Lemon Cheesecake Pie! 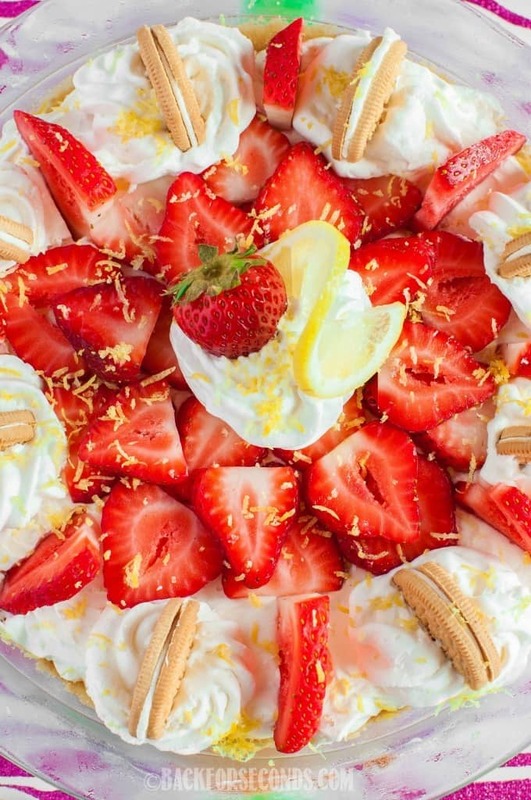 My kids all love lemon desserts (well, all except the baby), and they all love strawberries, so this pie was a no brainer. 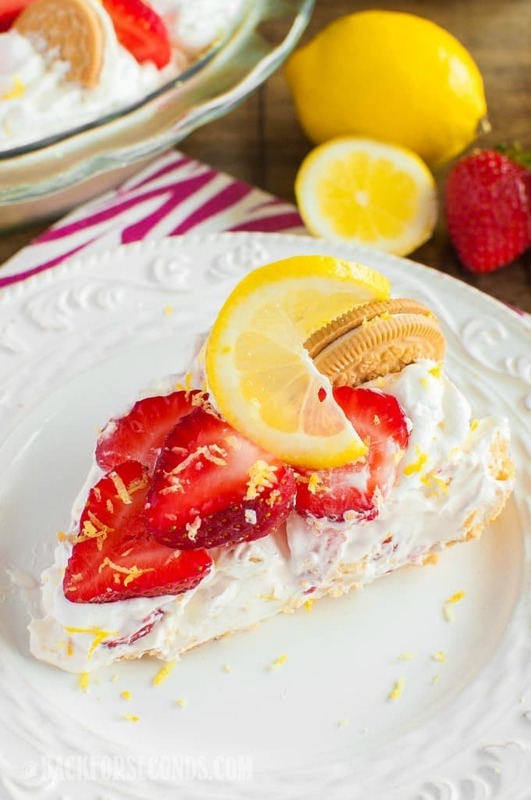 It’s like strawberry lemonade in cheesecake form! 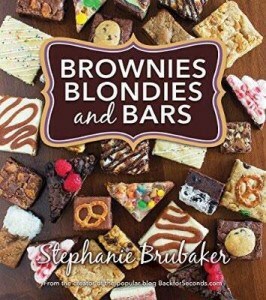 And there’s no baking involved, so it really is perfect for summer! I really should have let this pie chill before slicing it and taking photos, but I was brining it to a dinner, and there was no time to wait. Not a slice was leftover, so I think it’s safe to say everyone loved it!